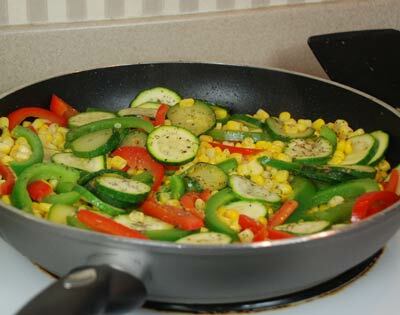 In a large skillet, saute zucchini and peppers in oil until crisp tender, about 4 minutes. Add corn and seasoning. Saute 3 to 4 minutes longer or until the corn is tender.